Lara George’s “A Slice of Heaven” fourth studio album is a beautiful collection of heart rendering worship songs numbering 15 tracks. 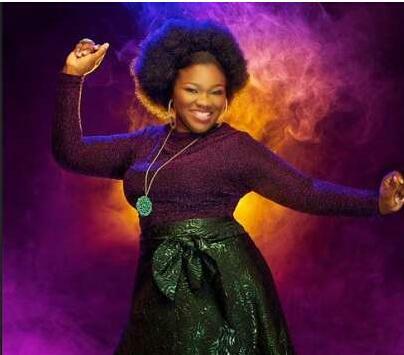 The US based singer who was once a member of the defunct music all female group KUSH which had the renowned photographer and musician TY Bello, Emem Emma, and Dapo Torimiro as fellow members, whom she all met on campus. Coming off the back of three Gospel albums Forever In My Heart (2008), a self-titled album Lara George (2009) and Higher (2012), Lara does not stray too far from heartfelt worship delivering the songs as the spirit leads. Lara on this project takes you into that realm of the spirit where you connect to a greater power that is God. Production on the album is without a doubt top notch, complementing George’s vocals on a mixture of mid-tempo and low-tempo songs. Lara’s vocals are well matched with the rich instrumentals of piano, drums and more as she renders the songs in English, Yoruba, Igbo and Pidgin languages to carry along as many. The album is a worthy listen for every true worshipper due to its soul-edifying and God-exalting elements. It’s indeed a slice of heaven with the believer’s faith becoming quickened and refreshed on listening to this album.